← Downtown Raleigh Ice Skating Kicks Off Saturday December 4th! 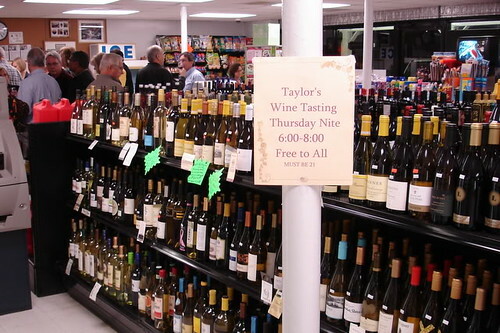 The nice folks at Taylor’s Wine Shop will be hosting another free wine tasting this week on Thursday December 9th from 6-8pm. 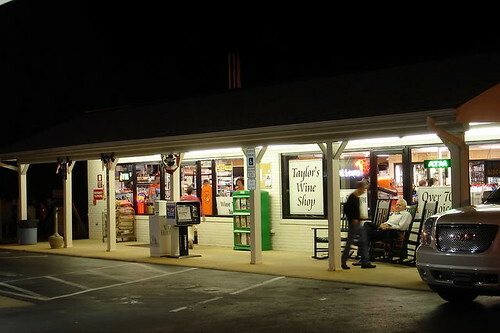 Taylor’s is located in North Raleigh on Six Forks road just north of I-540. If you haven’t been to by the shop yet, I recommend you check them out when you get the chance. Taylor’s is not your typical convenience store. 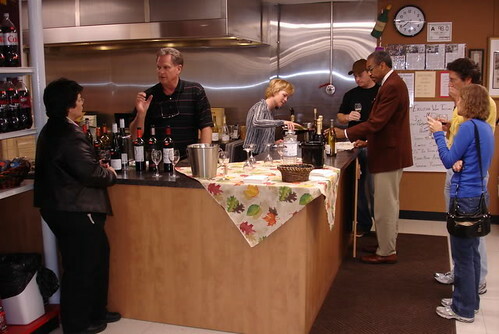 Taylor’s has been around for over 30 years and is an institution of North Raleigh. Long ago, the savvy owners realized the need to diversify and have developed a great little shop offering an impressive selection of wines, local and other craft beers, local coffee (From Larry’s Beans, Carrboro Coffee and, Tradewinds Coffee), and even sell locally made Escazu chocolate along with an assortment of other items like handmade jewelry and Faerie Made Soaps. Of course, you can still pick up bait there for your fishing trip to Falls Lake as well. Taylor’s is the type of shop every town needs. It isn’t just a place to fill up your tank and pick up a gallon of milk. It is a neighborhood store that supports the local economy by offering locally made products sold by people you know. It isn’t just that you need to go there; you actually want to go there. I’ve made a habit out of making a Sunday morning trip to Taylor’s just to grab cup of Larry’s Beans coffee and say hello to the owners while browsing their latest offerings. It is a great way to start the week. 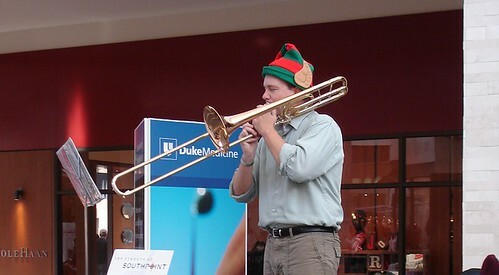 Oh, by the way, did I mention I will be at the December 9th wine tasting playing Christmas Carols on my trombone out on the porch from 6-8pm? Come on by and say hello!